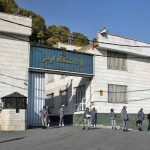 JERUSALEM (Morning Star News) – The latest in a string of harsh sentences against church leaders in Iran has been handed down to four Christian converts for promoting Christianity, according to human rights activists. Pastor Yousef Nadarkhani, along with deacons Mohammadreza Omidi, Yasser Mossayebzadeh and Saheb Fadaie, were sentenced to 10 years in prison in a ruling by the 26th branch of the Revolutionary Court in Tehran, according to a regional director of Middle East Concern (MEC), a human rights organization that tracks the persecution of Christians in the region. Nadarkhani and Omidi have also been sentenced to two years of exile in the south of the country, far from their families in Rasht. The verdict was issued on June 24 but received by their lawyer on July 6, after several delays, and after the case was transferred to Tehran when a local court in Rasht could not reach a verdict. Their lawyer has 20 days from the verdict date to appeal the sentence, which he plans to do, according to MEC. A ruling is also expected on an appeal filed by Omidi, Mossayebzadeh and Fadaie against a sentence of 80 lashes each for drinking wine during a Communion service. In recent years, the number of Christians arrested in the country has decreased overall, but church leaders have been targeted and given harsher sentences, according to the MEC regional director. Whereas in recent years Christian converts involved in house church activities could expect to receive prison sentences of up to 2 years, sentences of 10 years or more in prison have been handed down in recent cases. The four men were arrested in Rasht on May 13 during a series of raids by security service agents on Christian homes in the city, according to Christian Solidarity Worldwide (CSW), a human rights organization. The July 6 verdict is the latest in a series of excessive sentences passed by Judge Ahmadzadeh against Iranian Christians, according to CSW. “We are deeply disappointed by these excessive sentences, which are based on spurious charges and are clearly part of an intensified campaign of judicial harassment aimed at intimidating members of minority faiths,” said CSW’s Chief Executive Mervyn Thomas in a press statement. The four men were officially charged with “acting against national security,” a catch-all charge often used by the Iranian government to punish different types of religious and political dissent. The government often uses it against converts instead of the charge of apostasy, according to freedom of religion advocates, in an attempt to avoid international scrutiny. Of particular concern to human rights activists was the presence in the courtroom of Abolghasem Salavati, a judge for the 15th Branch of the Revolutionary Court, during the most recent hearing on July 14th. Salavati announced in court that “Christians make foolish claims,” according to CSW. Salavati is “notorious for carrying out miscarriages of justice,” especially in high-profile trials involving political activists and ethnic and religious minorities, according to CSW. Previously a court sentenced four other Christians to 10 years imprisonment for missionary activities and “conducting activities against national security.” Judge Ahmedzadeh handed down the sentences to Nasser Navard Goltape, of Iran, and Yusif Farhadov, Eldar Gurbanov and Bahram Nasibov of Azerbaijan on May 23. They did not learn of the sentences until June 12. They are appealing the sentence, but local sources told CSW that they are not hopeful. In spite of lack of evidence against them, they said, authorities appear determined to send a punitive message to Christians. The four men were arrested on June 24, 2016, after traveling to Tehran on an informal visit to their Christian friends. 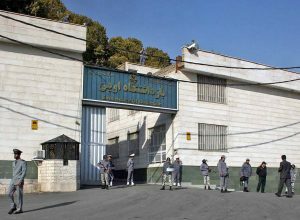 They were confined in Evin Prison for about two months in solitary confinement, enduring regular interrogation, before being moved, according to CSW. They were released on bail on Oct. 29, 2016, and the three Azeris were allowed to return to their country on Nov. 7, 2016, having paid the full bail amount. The Azeri Christians may forfeit bail by not returning to Iran, but Goltape does not have this option, according to CSW. 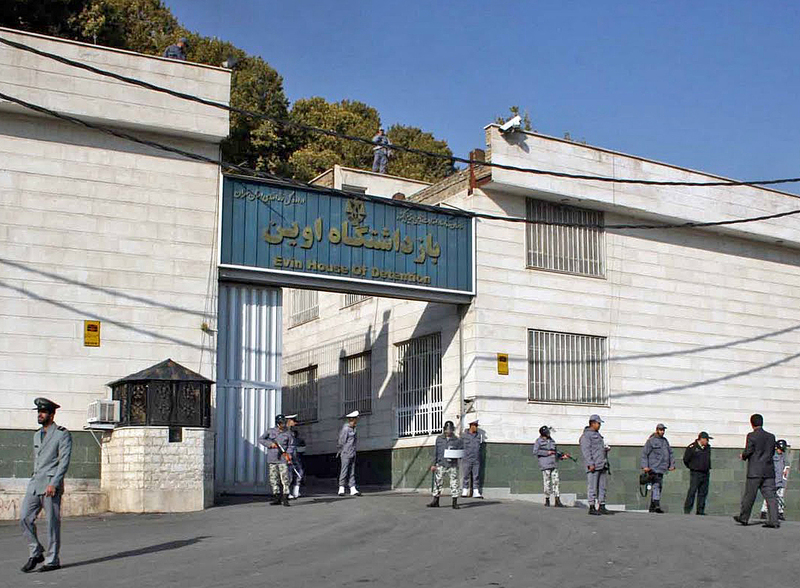 According to Article 18, in the previous three months Judge Ahmadzadeh sentenced at least 16 Christians to between five and 10 years in prison. On Sept. 10, 2016, after a trial that lasted 10 minutes, Omidi, Mossayebzadeh and Fadaie were sentenced to 80 lashes for drinking wine during a Communion service. It was the second time Fadaie and Omidi have been sentenced to flogging for taking Communion. Although Christians are allowed to consume alcohol in Iran, Muslims are not. As converts from Islam, by law the three men are still considered Muslim since conversions away from Islam are not recognized in Iran. As part of a larger crack-down on house churches in Iran in 2016, the country’s internal security apparatus, VEVAK, conducted a series of raids against at least 10 Christian-owned homes. Officials temporarily detained Nadarkhani and his wife, Fatemeh Pasandideh, on May 13, 2016, but then released them. Authorities took Mossayebzadeh, who was also at one of the houses, into custody. VEVAK agents later summoned Omidi and Fadaie to their office by phone and then arrested them in connection with the raids, according to CSW. Weeks later, Mossayebzadeh and Fadaie were released each on the equivalent of a $33,000 bond, Mossayebzadeh on May 28, 2016 and Fadaie on May 29, 2016. Omidi remained in detention until officials released him June 7, 2016, also on a $33,000 bond. Court officials on July 24 summoned Nadarkhani to court, charged him with crimes against national security, ordered him to produce a bond of $33,000 and released him. In 2010, the Iranian government charged Nadarkhani with apostasy and sentenced him to death. His Christian faith had been discovered after he went to his children’s school to question Iran’s compulsory Islamic religious education requirement. Eventually court officials acquitted him of the charges, and in September 2012, he was released from prison. He was found guilty of evangelizing, however, and three months later was ordered back to prison on Dec. 25, 2012. Nadarkhani was released Jan. 7, 2013. In Christian support organization Open Doors’ list of countries where it is most difficult to be a Christian, Iran had a score of 85 out of 100 in the 2017 World Watch List, leaving it ranked eighth out of 50. Various aid and rights groups affirm that the underground church is growing in Iran in spite of the crack-down. As many as 450,000 Iranians are worshipping Christ within Iran’s borders, according to Open Doors, and other organizations believe the figure could be as high as 1 million in the country of 80.3 million.